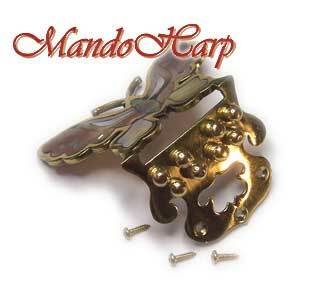 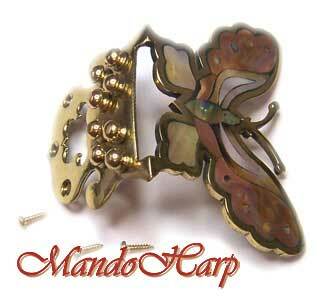 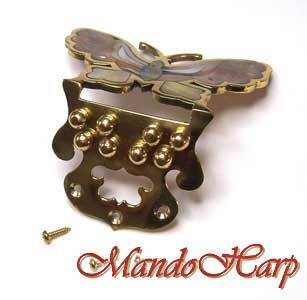 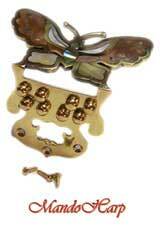 Beautiful hand-made, cast-brass tailpiece. 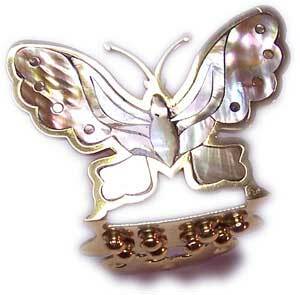 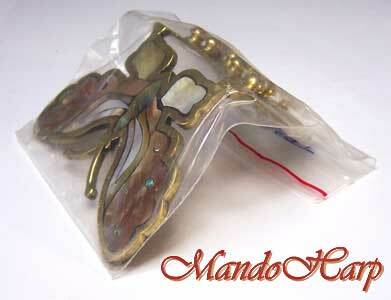 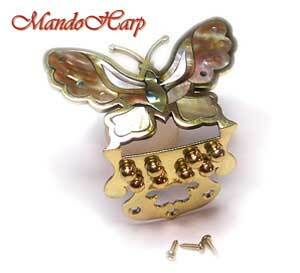 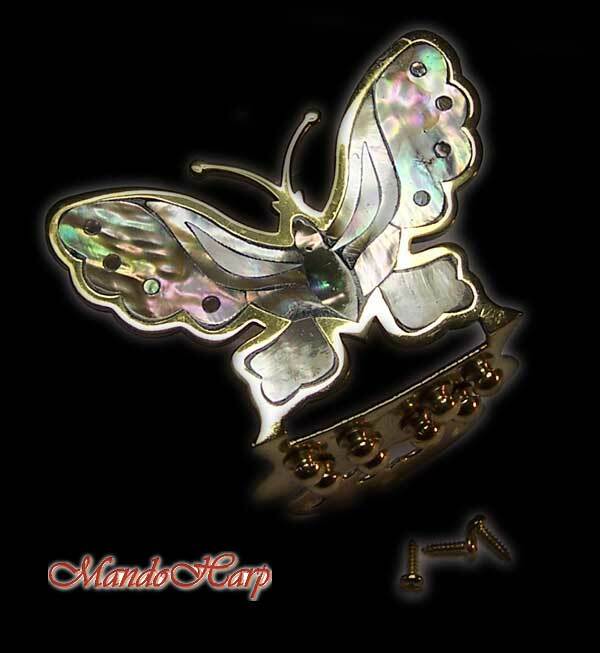 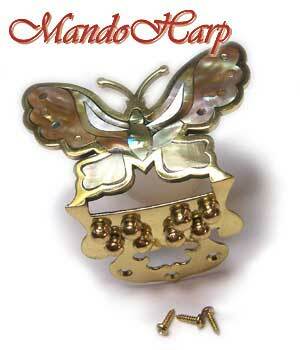 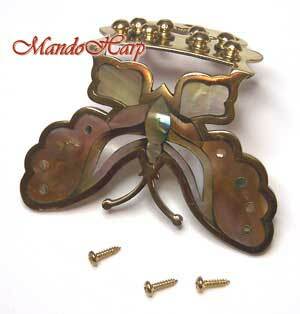 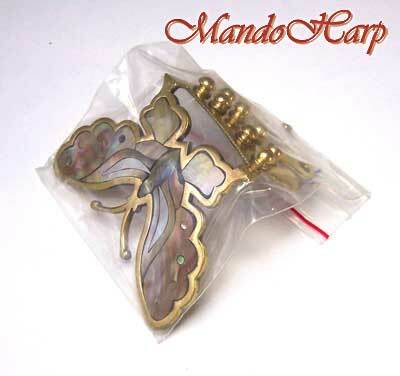 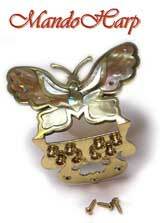 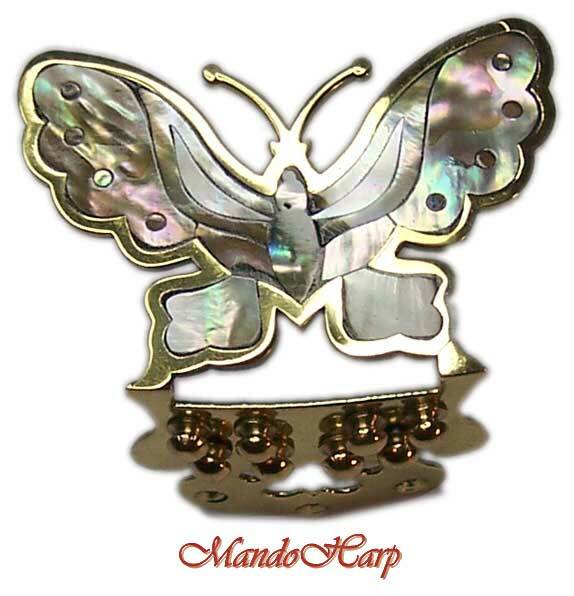 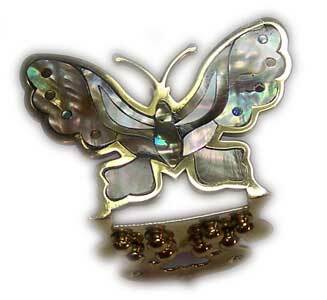 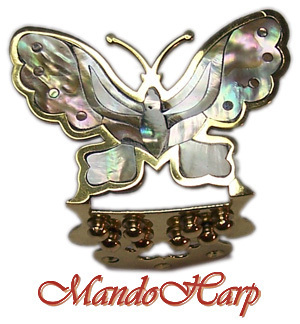 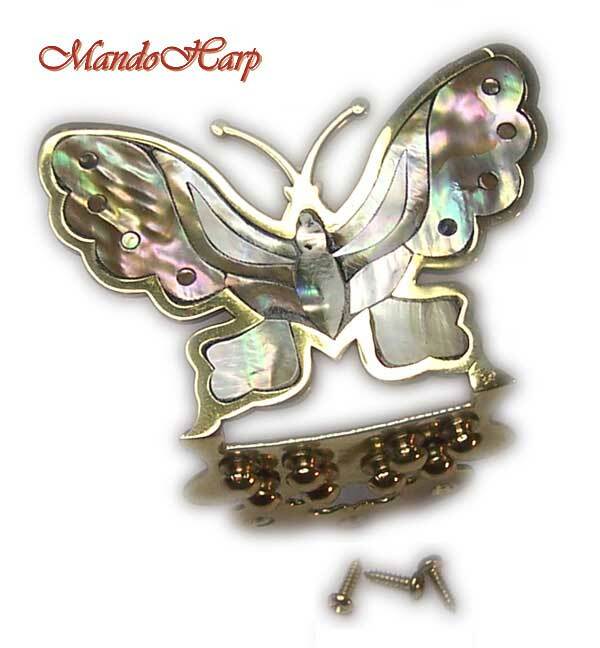 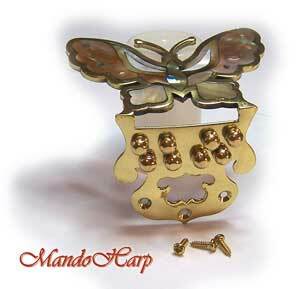 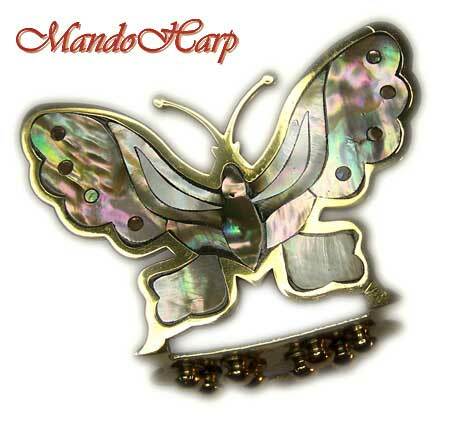 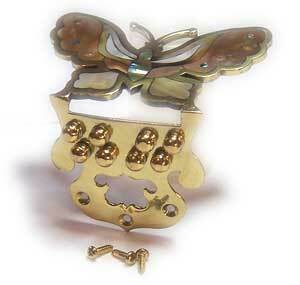 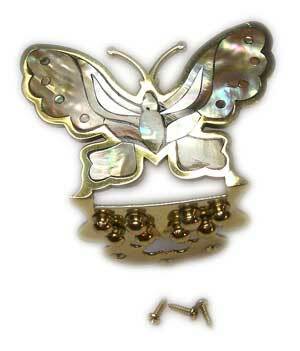 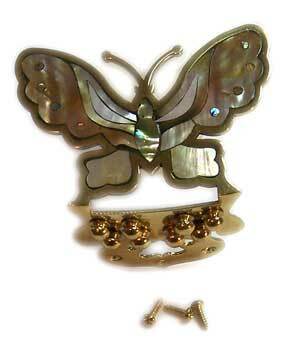 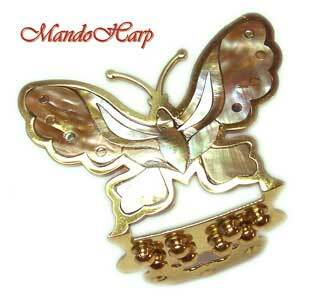 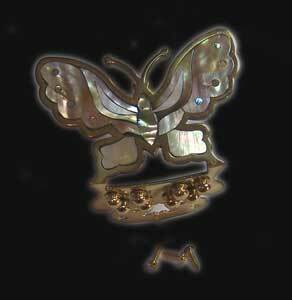 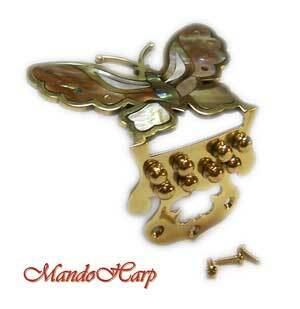 Butterfly design with stunning abalone and mother-of-pearl inlay. 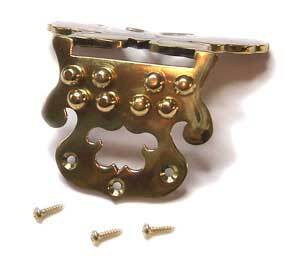 Includes brass mounting screws. 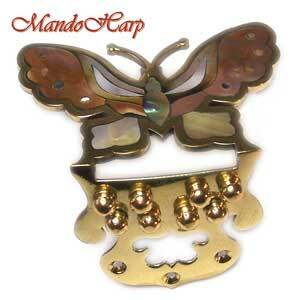 Originally from Antoniotsai Guitar and Mandolin Arts in Vietnam.